« WordPress 3.3 – what’s new? In seconds it checks your WordPress installation for 25 well known default WordPress configuration security issues. 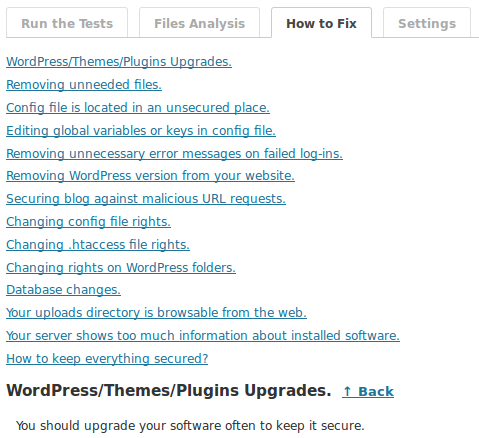 The most of them should be fixed for every fresh installed WordPress blog. 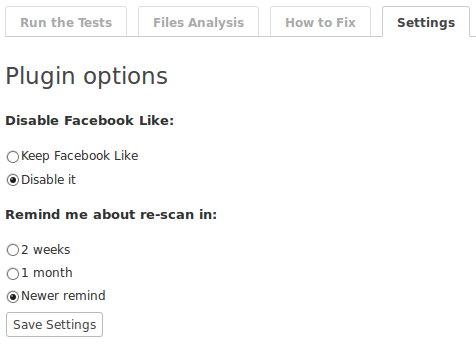 In addition “Ultimate Security Checker” could check your WordPress files for integrity and analyse installed plugins and themes for possible malicious code inclusion. USC assigns to your blog security state letter grade from A (best) to F (worst) and gives detailed list of discovered vulnerabilities. You can consult with ‘How to fix’ tab to get more detailed information about each vulnerability and the most important – how to fix it. If you plan to use this plugin on a permanent base it’s quite more secure to re-install it from scratch (manually via FTP is better) every time before make new tests. Why it’s necessary? 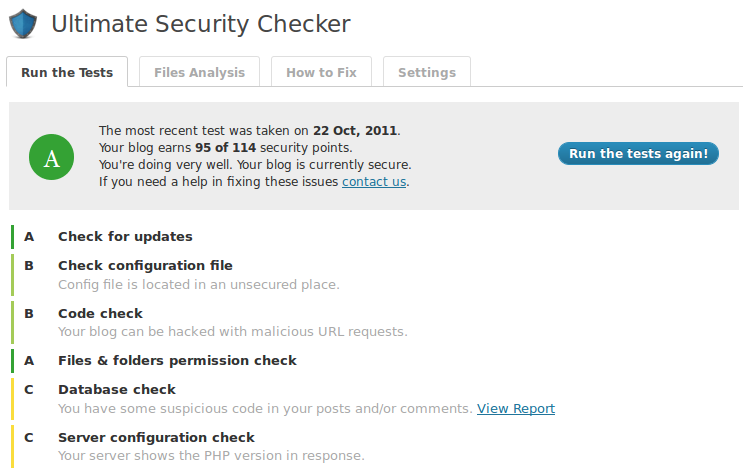 If blog is hacked, Ultimate Security Checker plugin could be hacked after that too. Thus, it could fake you and show ‘A’ grade in spite of real blog security state. 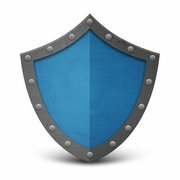 “Ultimate Security Checker” is a good helper to make your blog more secure. Special thanks to author for the detailed description of vulnerabilities which plugin can test and hints how to fix them. The question I have after finish of testing this plugin, why not include to it the option to fix discovered vulnerabilities automatically? The possible answer is that this plugin is just promotion tool for ultimateblogsecurity.com service, which offers WordPress blogs security tests, fixes and even WordPress updates for the premium users on commercial base. 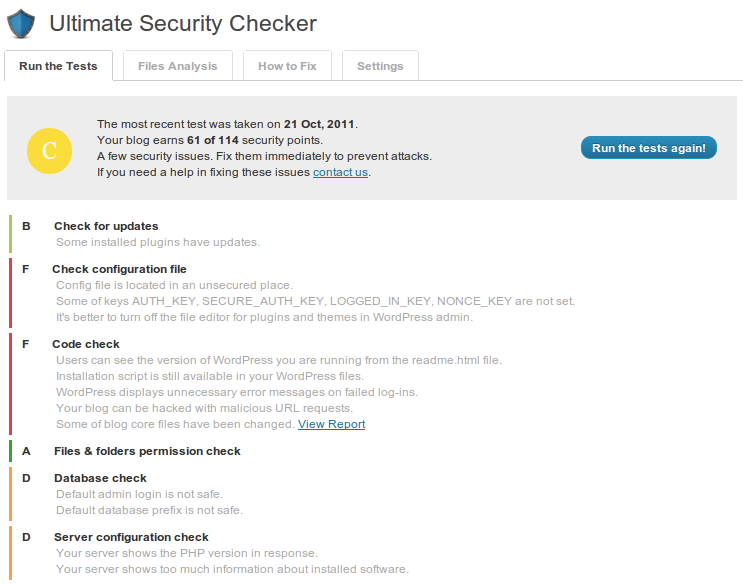 In spite of some functionality limitation “Ultimate Security Checker” WordPress plugin is well done and easy to use. I recommend it as an important addition to the “must have” set of WordPress blog security enhancement tools. This entry was posted on Saturday, October 22nd, 2011 at 22:45	and is filed under Security, WordPress. You can follow any responses to this entry through the RSS 2.0 feed. You can skip to the end and leave a response. Pinging is currently not allowed.